Share this product and receive a $4.38 sharing discount. This piece is a combination of fine art and a meaningful message! 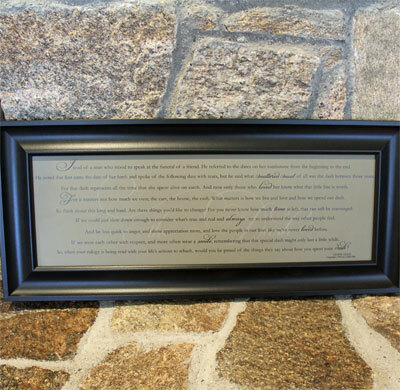 The script text has been framed with solid wood molding. 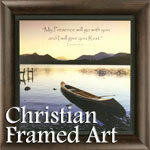 Made with a solid wood black scoop frame that measures 12.5" x 28.75". The background is chocolate colored. Ready to hang...includes two hangers on the back corners and a wire.